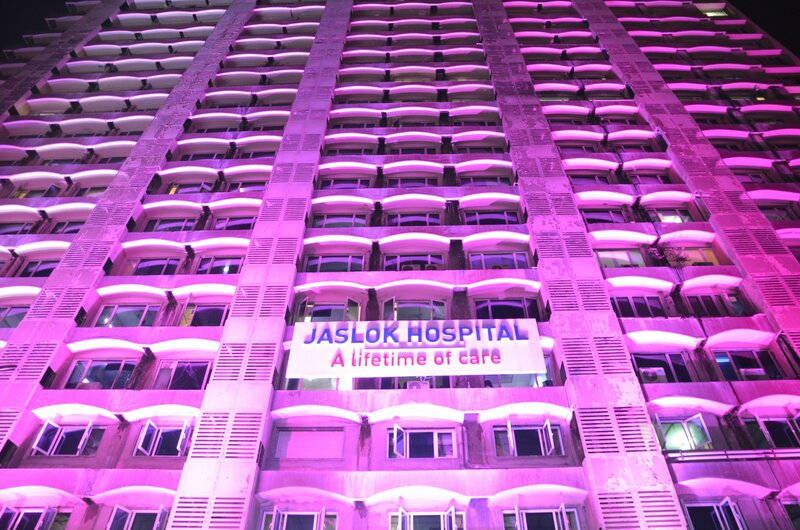 Jaslok Hospital and Research Centre concluded an evening that saluted the breast cancer survivors on October 25 at Jaslok Hospital, Peddar Road. The evening started with Mr Jitendra Haryan, CEO, Jaslok Hospital and Research Centre encouraging the survivors by sharing insights that cancer is curable. Followed by a panel discussion by experts talking about Breast Cancer and providing guidance and support to patients and their families. Ex Inspector General Police Mr.V C Pawar; popular theatre artist and Vice President, Women’s Cancer Initiative Devika Bhojwani, CEO of Ketto, Mr Varun Sheth; Veteran Journalist and President of Mumbai Press Club Mr Gurbir Singh and Padma Shri award winner Dr Suresh Advani were a part of the panel discussion. Dr Reetu Jain, Medical Oncologist, Jaslok Hospital and Research Centre delivered the key note speech and spoke about the recent statistics of breast cancer. Shaina NC was the Chief Guest at the event. “We want to see a smile on every patient that gets treated at Jaslok Hospital. A sign of relief should be felt by patients that get treated here. Our main aim is to identify the problem in time and getting the patient cured of it completely. There are several myths surrounding breast cancer, which makes it tough to beat the disease. We want to break those myths and help the women in leading a happy life,” says Mr Jitendra Haryan, CEO of Jaslok Hospital and Research Centre. Vice President, Women’s Cancer Initiative Devika Bhojwani said, ”I was very pleased to be a part of the event conducted by Jaslok Hospital on spreading awareness on early detection of breast cancer. We are all aware that breast cancer is rising in the metropolitan cities of India and events like these help to focus on the need of the hour that a breast cancer caught early is curable. I’m very happy to see large organizations like Jaslok Hospital are organizing such initiatives. I have also noticed that during the month of October Jaslok is offering a solo mammography at a rock bottom price of ₹999 and that should be a great incentive for women who haven’t done their mammography yet."